The Cowboys’ O-line depth for 2019 just took a hit. As Scott Wright of The Oklahoman reported on Wednesday, offensive tackle Arlington Hambright has put his name in the portal to signify to other programs that he is interested in discussing a transfer. It does not preclude Hambright staying at OSU, but it does indicate he’s at least kicking around the idea of a transfer. Hambright earned starting reps in fall camp of 2018 after the junior college transfer redshirted the year before, but an injury held him out for the rest of the regular season. He returned for the bowl game in a reserve role. 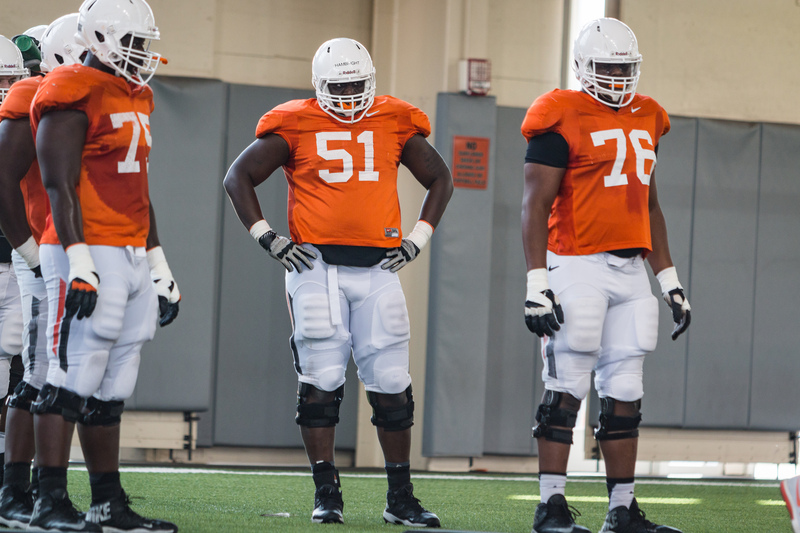 Projecting ahead to the 2019 season, Hambright was expected to compete for a starting job with Dylan Galloway at left tackle. Should he follow through and transfer, it will likely leave OSU turning to its young wealth of offensive linemen in the pipeline. With five OL signees in 2018 and four incoming for 2019, pressure will be on the youngsters to step up and produce in his potential absence.